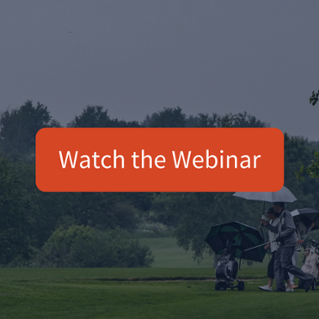 WATCH Golf Clubs and Severe Weather Webinar | Is Your Club Ready? There are a lot of things that can go wrong on a golf course. Golfers can cancel, caddies can miss work, equipment can break, and severe weather can roll in quickly on a clear day. As golf course management, it’s important that you prioritize risk management. When you do this, you also have to make sure you don’t overlook any important risks. Some risks are simpler than others. For example, if a caddy calls out of work, you can have others on standby to call to ensure you can cover for them. You can also plan for equipment breaking. You can have extra equipment on site or, even better, monitor the performance of equipment and anticipate when issues will occur. Anyone in risk management will tell you: The more prepared you are, the better your organization can mitigate financial, operational, and human risk. One of the risks you can plan for is severe weather. This is something a lot of golf course employees overlook. Weather is a daily factor that no one can control. 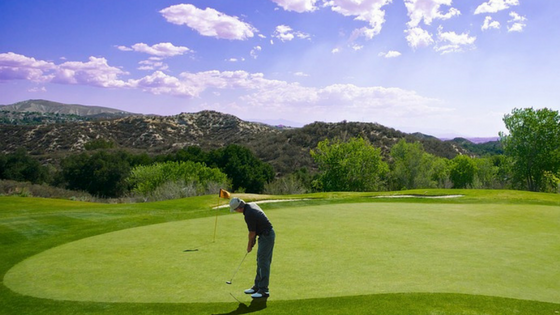 Most golf course managers are used to the climate of their golf course and know when wet seasons, dry seasons, and stormy seasons are going to happen. However, just knowing the seasons isn’t good enough when it comes to golf course risk management. Golf clubs and severe weather simply don’t mix. Whether it’s a drought wrecking havoc on your greens or lightning playing target practice with your players, it is a huge risk. 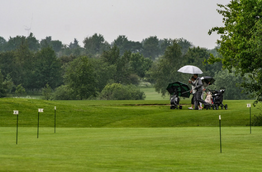 Therefore, it’s important to learn the best practices when it comes to severe weather safety at golf courses and country clubs because if everything is set up right the first time you’re covered for years to come. That’s why we put together this Club Safety Webinar. 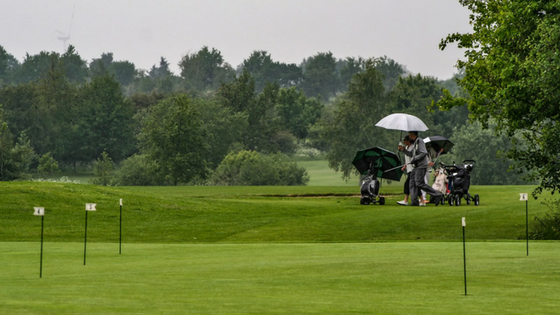 We recently held a webinar with the Club Managers Association of America (CMAA) exploring how effective risk management is crucial to making sure your club limits injuries and financial loses that can arise due to serious weather events. In this webinar, you’ll hear from Patrick King. Patrick is the General Manager/Cheif Operating Officer of Army Navy Country Club. 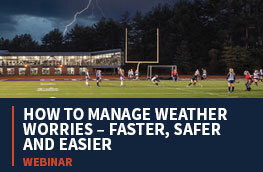 He’ll talk about how Army Navy Country Club uses automated weather technology to manage weather-related risks. You’ll also hear from Brian Smack, Manager of Club Safety here at Earth Networks. Brian is a former PGA pro who, after being struck by lightning in his 20’s, has made it a priority to help protect others. 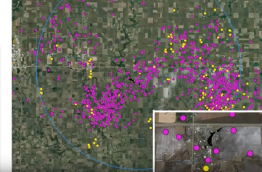 In this webinar, he elaborates on severe weather threats, as well as highlights the different solutions out there and the best practices. You can watch the webinar today for free by clicking the link below. Don’t miss out on making sure your severe weather safety is up to par! Some managers and decision-makers at clubs don’t take the threat of severe weather seriously. It’s true that if a severe weather event hasn’t effective your club directly, it’s a little difficult to imagine it happening. But it can happen, and the consequences can be deadly. We don’t say this to scare you, it’s just the truth. There have been all too many accidents regarding severe weather (especially lightning) on golf courses over the past few years. If you’re not ready to watch the webinar, or you’ve already watched it and want to learn more, you can read through our best golf posts. You can also watch how we’re helping Bethesda Country Club in Maryland handle their severe weather safety below.